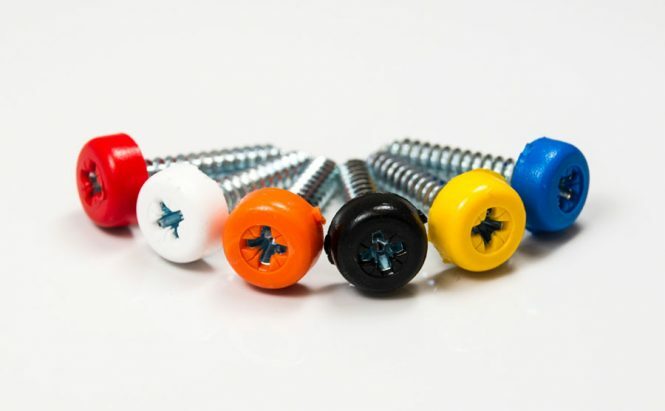 Coloured Polytop screws are popular for use with signage, retail displays, public lighting and street furniture. They provide a neat and unobtrusive fixing in one quick and simple step. Made from A4 stainless steel or zinc plated mild steel, these plastic top screws are also corrosion resistant. 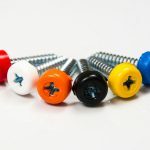 Polytop screws have tough colour co-ordinated heads that will not come apart, as with other two part screw and cover fasteners. This easy to use one piece fixing also offers significant production savings over alternative fastening systems. They are specially developed for use on all exposed fixing areas particularly UPVC and other maintenance free profiles, or pre-finished materials with no finishing required. There is no need for capping, spraying or painting.